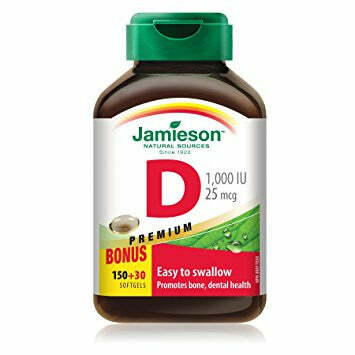 Jamieson Vitamin D Premium softgels 1,000 IU is an unique formula that helps to protect the bones and teeth as well as to improve the calcium absorption. Non medicinal ingredients: Gelatin, glycerin, medium-chain triglycerides.. Adults: Take 1 softgel per day.